During the 10-week Celestial Navigation course at NAS Seattle, WAVE instructors got a chance to practice “flights” in the navigator itself. 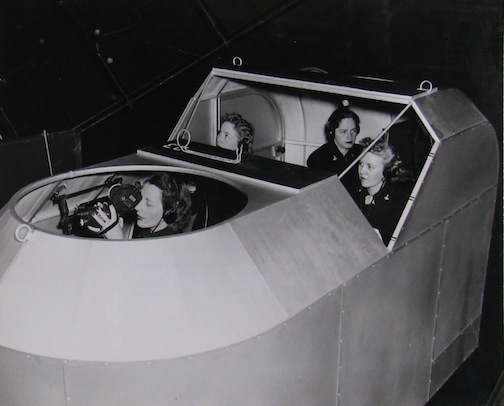 Left to right are: Irena Aide (navigator), Linnea Peterson (instructor), Jane Hall (radio operator), and Elinor Johnson (pilot). The Navy began using Celestial Navigation in 1944.